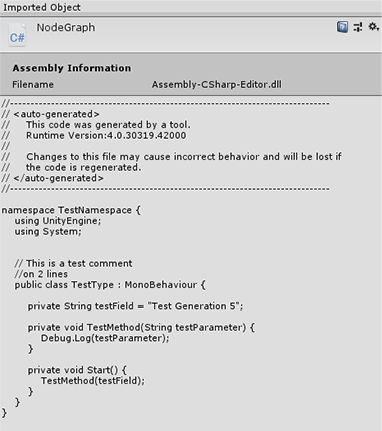 A graph node editor for generating C# scripts using .Net's CodeDOM in Unity. 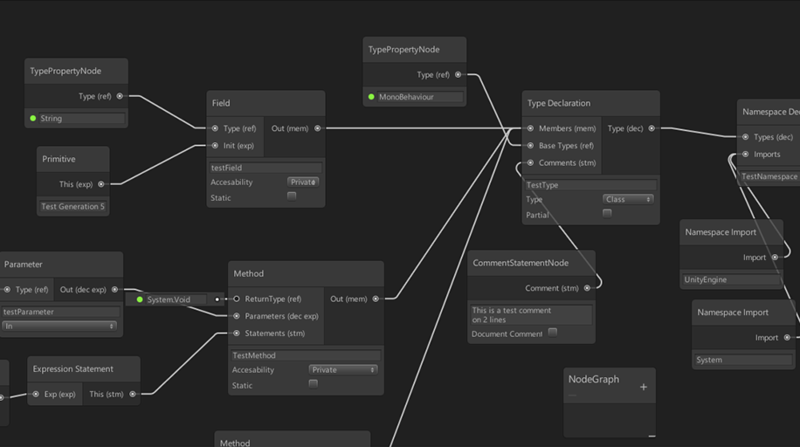 A graph node editor for generating C# scripts using .Net’s CodeDOM in Unity. Built using Unity’s built in node UI and by starting of the stripped implementation of the Shader graph editor.